Classic, inviting, nostalgic and curved. The design is well-proportioned, the lines are sharp, and the feel is contemporary. With its streamlined design and high quality, Era is a durable, long-lasting and versatile collection that easily accommodates modern interior’s need for flexibility. 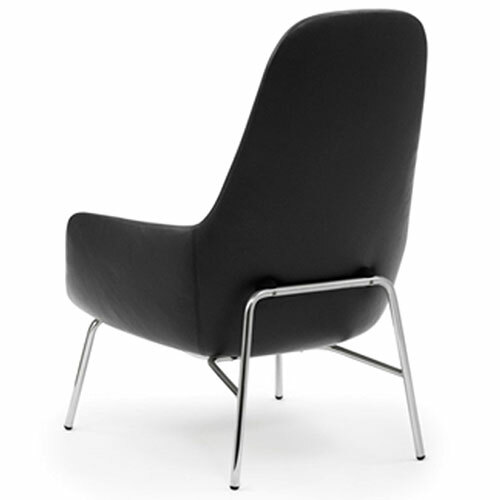 The wide, molded cushion and the curves along the back of the chairs ensure a fantastic sitting comfort. No matter if you use Era as a reading chair, to watch TV in when browsing on the internet or even to take a nap in, Era is comfortable for hours on end. With various textiles, colors, and legs to choose from, you can pick the exact design you desire. 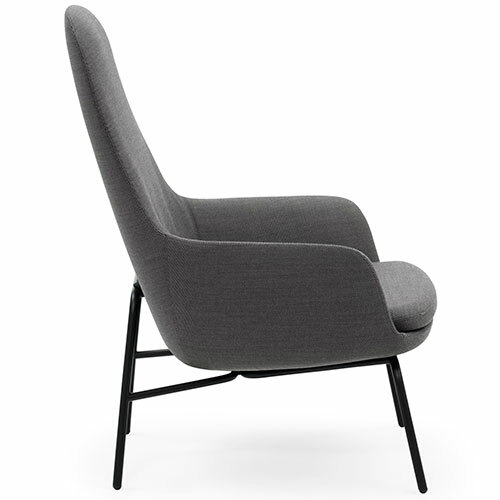 The high-back version has added support for the neck, making it perfect for resting. The low version is ideal for smaller living spaces, as it takes up less visual space. Suitable for contract/high traffic and hotel environments. The collection includes: low or high back with steel, wood, swivel or rocking base, sofa, table, and footstool. Designed in 2014. Awards: Red Dot Award 2016 and German Design Award 2015. Hand Made in Poland. Metal Legs: Black or Chrome. Upholstery: various fabrics and leathers. (Synergy, Main Line Flax, City Velvet, Fame, Breeze Fusion, Fame Hybrid or Ultra Leather).